I first came across Edgar Morin’s writings almost a decade ago. Having just finished a graduate seminar in classical film theory, I was eager to help recover pre-1968 approaches to cinema, and so it seemed fortuitous when I discovered a neglected 1960 paperback edition of Morin’s The Stars in a second-hand bookstore that was going out of business. I recognized Morin’s name from his co-directing credit on the seminal documentary film Chronique d’un été (Morin and Jean Rouch, 1961) (by some accounts, Morin coined the term “cinema-verité”) and from Jacques Aumont’s essay on the close-up (1), but I bought the book for its cover: the young Brigitte Bardot appears on the outside, cut out like a newsprint paper doll and pasted onto a luminous sea of magenta. Her figure poses iconically – hands on waist and hips swung – under a small crowd of sans serif letters. I felt I was rescuing a piece of pure ’60s Pop. Opening the covers of this Grove Press edition of The Stars is like unlocking a time capsule: the inside of the book brazenly combines Pop Art collage, devotional reliquary, industrial historiography, and sociological speculation. Visually it is laid out much like a 1950s movie star magazine (or fan’s scrapbook): paparazzi images bleed to the edges of the pages, comic book covers mix with movie stills and French soap advertisements featuring beauty tips from Lauren Bacall. It is amazing that a book that promises to examine stardom as a sociological phenomenon would so self-consciously invoke the graphic conventions of “trash” culture. From this book’s collision of academic rhetoric and ephemera – its resolute admixture of high and low – emerges a beguilingly promiscuous methodology, one in which Eisenstein’s famous stone-lion-comes-alive montage from Battleship Potemkin (1925) appears quite comfortably alongside a close reading of Katharine Hepburn’s nuanced make-up changes. How brilliantly fitting that a scholarly investigation of Hollywood’s institutions of body commodification should choose as its jacket liner the poster for House of Wax (André De Toth, 1953). The University of Minnesota Press has just reprinted The Stars. The new edition retains little of the visual quirkiness of the 1960 edition (though it does reproduce several images central to the prose), but the evocatively unidiomatic title has survived, as has Morin’s once boldly idiosyncratic and today surprisingly current interdisciplinarity – a methodology that combines industrial history, popular criticism, anthropology, social psychology, audience reception study, and political philosophy. The chapter on James Dean remains a canonical essay for the study of stardom. It is important to have this book back in print, especially accompanied by Lorraine Mortimer’s lucid and concise introduction. Perhaps even more intriguing is the publisher’s decision to print the first English edition of Morin’s The Cinema, or The Imaginary Man, recently translated by Mortimer. Originally published in France in 1956, this book represents a fascinating juncture in the history of pre-1968 efforts to theorise the cinematic image. While Morin was often cited by major figures like Aumont, Christian Metz, and Siegfried Kracauer, and more recently by Fredric Jameson, Noël Burch, and Lisa Cartwright, his writings have never occupied a prominent place in the Anglophone canons of film theory. Mortimer introduces The Cinema with an essay betraying the symptom that marks many good translations: an empathic identification with her subject. (Morin was, in some capacity, personally involved with this translation.) More than simply teasing out the lineage of her author’s ideas, Mortimer pursues the impulses behind Morin’s passionate assertion that socio-anthropology is the best means of investigating cinema. Morin insists not only that cinema deserves serious scholarly study, but he also raises the spectre of methodologies left behind in many film studies. Cinema seems to demand, for Morin, anthropology. Anthropological writings on cinema receive little attention in mainstream academic film studies. Studies of myth and the “archaic man”, with the exception of Carol Clover’s work on horror films, have been largely ignored as an approach to understand the lure of the medium (2). Understanding what drives Morin methodologically, Mortimer argues, reveals the critical value of Morin’s writing for contemporary film scholars. Mortimer believes that an overly rational approach to analysis dominates the academic study of film, an approach that risks flattening the experience of cinema. In her view, a monolith of film theory threatens to disembowel the very qualities that grant the medium its power, through a series of analyses or clinical dissections that are especially insensitive to cinema’s subjective lures. Morin’s perspective, by contrast, demands that we recognise how essential affect, participation, and chance are to the institution of cinema. He seizes on the magic of cinema, regarding it as a structured form of enchantment which, to be understood, must be appreciated for its anti-rationalising reason. In his 1978 preface to The Cinema, Morin admits that he originally chose to work on cinema because it physically possessed him unlike any other medium. Morin argues that a serious investigation into cinema does not require critical distance from a personal experience of the medium. In fact, he feels the truth of cinema will only be revealed to those who “plunge, without getting lost, into the fundamental contradictions that define cinema” (pp. 216-217). He aims to uncover the subjective lures of cinema. Yet, in trying to access why films so easily “possess […] and tear me apart,” he doesn’t retaliate in kind (p. 221). He refuses to dissect or dismember the medium under investigation. Instead, he examines the cinema as an encompassing experience, akin to seeing “corporeally” (p. 158). Plunging himself into its contradictions, Morin seeks to “envisage cinema in its human totality” (p. 4). From this sensual history of technology, more a vivisection than an autopsy, the cinema emerges as supernatural – more real than reality. Cinema is neither simply a reflection of society nor just another of civilisation’s tools or inventions, like the airplane. Cinema is not to be understood as an epiphenomenon because it never simply supplements, extends, nor mirrors our world. Since it stands at the threshold of both individual consciousness (“imagination”) and engaged interaction (“participation”), cinema reveals a socio-anthropological fact about the human’s relation to the world, according to Morin: “The cinema allows us to see the process of the penetration of man in the world and the inseparable process of the penetration of the world in man” (p. 204). The astonishment that audiences felt in their first encounters with cinema a century ago is, he argues, only slightly different from the enchantment that cinema brings to viewers today. Something about cinema serves an “archaic” need, a central human desire, and thus its wonderment does not dissipate even as popular knowledge about the technology proliferates and as filmgoing becomes less of a novelty and more a quotidian activity. The thrill is never completely gone; our current wonderment with the cinema is actually continuous with the astonishment felt by the first audiences of the cinematograph. André Bazin, in his analyses of Charlie Chaplin’s slapstick and a documentary on bullfighting, suggested that repetition is central to cinema’s magnetism (3). The affect generated from watching corporeally dense images is not just maintained with repeated viewings but amplified with each new projection, according to Bazin. In a similar fashion, Morin explores why cinematic replay does not diminish astonishment. Cinema may have its mechanical genesis in replication, duplication, reiteration, but we rarely experience the “objective presence” of the image as a recurrence (see Chapter 5 and the 1978 “Preface”). In the most general terms, both The Stars and The Cinema ask us not only how institutions of wonderment survive in a hyper-rational culture of modernity, but also how such a culture propagated them in the first place. In a world where the irrational has been granted centre stage in the arena of politics, the hegemony of the rational may now seem a quaintly 1950s sentiment. Nonetheless, Morin’s attention to the subjective lures of images reveals just how much further we need to go in developing a language that critically engages in the terms of wonderment. Always attentive to the corporeal and affective qualities of motion pictures, Morin speaks to the concerns of recent work; e.g. embodiment and emotion as critical categories (Linda Williams and Vivian Sobchack), the notion of the ghostly as a means to theorise the cinematic image (in very different ways Tom Gunning, Slavoj Žižek, and Gilberto Perez), an interrogation of the utopian promises of universal participation (Jameson and Miriam Hansen). For Morin, cinema is a “complex of dream and reality” (p. 149), or “the product of a dialectic where the objective truth of the image and the subjective participation of the spectator confront and join each other” (p. 147). Morin also argues that, in much the same way that theories of cinema can benefit from anthropology, the discipline of anthropology should no longer avoid a theorisation of cinema. Despite the camera’s ubiquitous presence in modern anthropological study, Morin claims that the institution of cinema has rarely occupied anthropologists. He feels cinema is an ideal object of study for anthropologists because it simultaneously combines the relations of self-to-self, self-to-other, and self-to-world. In fact, cinema’s dual nature – as both perceptual and participatory – presents a necessary challenge to the discipline of anthropology itself. It radically historicises human anthropological need. “Among all the possible aesthetics and visions of the world, films take up and establish those that are established for them by actual human needs” (p. 170). The Cinema and The Stars were published at a crucial time: just before an explosion of modernist European films hit the world market (including the French New Wave and the canonical European art films of Michelangelo Antonioni, Ingmar Bergman, and Federico Fellini) and a decade after the publication of Bazin’s definitional essays and the seminal texts of the French Filmology movement. (Gilbert Cohen-Séat’s Essai sur les principles d’une philosophie du cinéma, for example, came to print in 1946.) Poised between the ontological realism of Bazin and the semiotics of Metz, between postwar humanism and post-’68 leftist critique, Morin occupies an unusual place in the history of ideas about the cinema. Morin’s work from the 1950s eagerly anticipates the academic study of cinema, and yet these writings represent an outsider’s stance towards circles of the legitimated cultures of film criticism and scholarship. Morin aligned himself only briefly with Filmology, and his contributions have remained outside the canon of French film theory. Still, his persistent presence at the margins of a nascent academic discipline recalls Stanley Cavell’s relationship to film studies in the US. Morin remains a prolific and controversial figure in French intellectual public culture, writing more on politics and ethics than cinema. To today’s reader, the dialectical structure of Morin’s prose in The Cinema and his ontological mode of inquiry may feel dated. Yet this kind of anachronism delivers both the most frustrating and most productive aspects of the book. Specific films are infrequently mentioned, and the volume does not contain a full analysis of an entire film or even a sequence. (Morin had originally intended this to be the first instalment of a two-volume set, the second of which would address examples of cinema’s formal language more directly.) From a broad perspective, the chapters provide structured interrogations of cinema’s phenomenological characteristics (technology, the image, the audience, language). At the level of the prose, the seemingly endless descriptions of cinema’s ontology, the at-times circuitous logic, the repetitions (how many times must the reader forgive Morin’s referencing the naïveté of desert Nomads?) give the effect of an over-fed predator hesitantly circling its prey. For example, Morin’s dependence upon syllogisms can, at times, take his conclusions to the brink of tautology. It is easy to understand how this meandering descriptive essay spanning over 200 pages might have struck the first generation of academic film theorists as decadent, indulgently bloated, and obstinately apolitical. However, over the last ten years ontological approaches by many mid-century critics, such as Bazin and Kracauer, have proven useful to a more recent generation of scholars. Once considered naïve celebrations of technological determinism, these approaches have been re-embraced for their sensitivity to cinema’s lures – as the work of Dudley Andrew, Philip Rosen, and Hansen reminds us. Furthermore, the descriptive excesses of this book are also what make it most curious, historically peculiar, and perhaps useful to understanding the evolution of film theory. Morin’s descriptions now stand as more than just paths not taken, nearly-forgotten provocations or ill-fitting diagnoses. Today, when many films flaunt the digital origins of their special effects alongside ideologies inherited by analogue photography, and when the cinematicity of video games increases, the photographic foundation of cinema has become an artefact for speculative reconsideration. Never so much as now have the semantic and illusory densities of mechanical reproduction been appreciated for what Morin calls the “doubleness” of the image (pp. 23-34), its “syncretism” of the apparitional and the evidentiary, or its incessant dialectic between the real and the unreal (see Chapter 5). Motion pictures demand a “divided consciousness,” he states, forcing us to remain “participating and skeptical at once” (pp. 155). It is in our moment, then, that Morin’s unyielding effort to describe cinema gains currency: given recent efforts to historicise classical film theory, the anomalies of this project emerge as this book’s lasting contribution. Morin’s socio-anthropology represents a key juncture in the intellectual history of the idea of the cinematic when it was possible to imagine a methodology uniting four areas of investigation now often segregated: 1. theoretical speculation on human subjectivity; 2. observation of affect and participation; 3. historiography and cultural history; 4. empirical data such as audience surveys and other sociological measurements. While it is difficult to imagine adopting Morin’s anthropological approach today, many scholars may find compelling what he is able to achieve with this method, especially those theorists aggressively trying to incorporate empirical data or historical documents without neglecting the formal complexities of the cinematic image and the subjective nuances of filmgoing. As much as this book stands as an anomaly, it also foreshadows many of later film theory’s central concerns. Perhaps in an effort to pitch Morin’s current relevance, or to pose him as the return of what film theory repressed, Mortimer has left the task of drawing out these historical correspondences to future writers. (Edward Lowry’s 1985 book, The Filmology Movement and Film Study in France remains one of the best discussions of Morin’s work on cinema in English.) When I finished The Cinema, I craved a full historical account of its impact upon French film theory. In spite of refusing Marxist theory and semiotics, Morin offers descriptions in The Cinema that also presage two decades of theories about cinematic subjectivity, including accounts of suture, fetishism, spectacle, and heterogeneity/homogeneity (part-whole relations). With further study, Morin may join Bazin, Cohen-Séat, André Malraux, Jean-Paul Sartre, Maurice Merleau-Ponty, and Jacques Lacan as a crucial influence for Aumont, Metz, Jean-Louis Comolli, Jean Mitry, and others. When Morin describes cinema’s “omnipresent eye” heralding a new empire of ubiquitous surveillance, rapidly expanding in all directions (p. 205), it is hard not to think of film theory’s adaptation of Michel Foucault’s panopticon. Jean Baudrillard and Guy Debord come to mind in the passages where Morin ponders the impossibility of knowing the world beyond its images, of understanding any experience independent of representations, or of societies considered outside of their spectacles. A Mulveyan consciousness about the spectacle seems prefigured in Morin’s description of how cinematic spectacles enable detachment and, in turn, the illusory sensation of mastery. The Cinema’s foreshadowings and continuities with the history of ideas about cinema become even more complex to consider in the context of Morin’s larger commitment to studying film spectatorship as a collective and social phenomenon. While sensitive to the affective and perceptual specificity of cinematic representation, he would never surrender the experience of cinema to solely psychological or cognitive operations. As a result, The Cinema contains passages in which formal attributes of cinema come alive in their social complexity and historical specificity. In fact, some of his justifications for an anthropological approach to cinema include his most interesting observations: how our minds handle the varying size distortions of screen media, the affective challenges of slowed or stilled motion in cinema, or the notion that our ability to maintain attention to the image belies our fundamental cognitive tendency towards abstraction. Morin also attends to other qualities of the cinematic image that are often elided. For example, he locates the dynamic essence of cinema participation in the beam of the projector. When Morin speaks of projection, he is less interested in its psychoanalytic connotations of identification, recognition, and transference; rather, the idea of projection for Morin involves possession by or immersion in the beam. In these passages, Morin echoes Jean Epstein but also anticipates the work of ’60s and ’70s visual artists, like Anthony McCall and Peter Kubelka, who were transfixed by the shape of the projector’s ray beam and the materiality of cinema’s light. Related to projection, Morin’s comments on the cultural history of the shadow may seem also particularly relevant today given recent interest in this topic. Like Bazin, Morin mines the language of scientific and pseudo-scientific phenomena to describe the complex experiences of cinema. For example, Morin understands the cinema’s screen as a membrane – a permeable, transparent border. His descriptions of this membrane are meant to characterise the institution’s way of mediating screen, image, filmstrip and viewer, as well as the textual articulations of the relation between spectator and spectacle. His references to chemical, biological, and geological phenomena stand less as an attempt to legitimate the study of cinema and more as a turn towards a richer theoretical language that is poetically evocative while allowing for complex relational structures. Proof of this comes from his indiscriminate use of scientific entities alongside pseudo-scientific phenomena. Some of his common analogies use natural phenomena to describe the cinema’s most ineffable features, including the volatile, mutable nature of the film image. He most often turns to materials like colloidal solutions, diastase, placental secretions, and cancerous burgeonings. These substances all imply a relationship between bodies – they occupy a certain parasitical stance, an interstitiality, or a transformative relation to what surrounds them. By invoking the structure of mutually determining phenomena (or “mutually fermenting agents” [p. 209]), Morin attempts to flesh out the contingencies of cinematic representation. Metaphors allow Morin to describe the reciprocal relationship of spectator to image, a quality of cinema otherwise hard to analyse or even to access critically. At one point, Morin goes so far as to describe films as “ectoplasms to keep the soul warm” (p. 210, other key passages that mention ectoplasms appear on pp. 134, 218). “Ectoplasms” refers to the name early 20th century spiritualists gave to the messy materialisations purportedly concocted in a séance by a psychic medium who turns her insides outside to reach “the other side”. These excretions suggest that mediation demands a convulsing corporeality and participation comes in these messy terms. As fantastical allegories of representation, ectoplasms speak of a threatening but potentially transcendent permeability and they explore projection as both ritualised mediation and as violent exchange (4). With the invocation of spiritualist lingo, Morin again asserts the duality of cinema – ectoplasms are on the one hand obscenely material and messily carnal, and on the other hand supernatural and otherworldly. For Morin, then, the cinema’s apparitional qualities suggest a spectator who is never afforded the security of distance from the image. Projected motion pictures are not detached transparent angels, hovering in the diaphanous quasi-materiality of a glow. The ghostly images of film engage us mortals in a very physical interaction; cinema’s apparitional qualities pack a visceral punch, and its images carry a sticky viscosity, leaving a messy residue or plasma akin to the mess left behind by séances in the early 20th century. This sticky semi-fluidity belies film’s materiality: not only the materiality of its storage (the jelly-like celluloid substrate) but more properly its materiality as a medium. In other words, this description gets at how cinema mediates – the nature of its brand of participation, how it exploits, supports, plays into pre-existing affective phenomena. In these descriptions Morin implies that the image remains a porous carrier, sensitive to the densities of other vestiges, leftovers from the past. He also indicates that the image is as easily infected by the present as it is infectious to the present; this quality soils our ability to detach viewer from image with any exclusivity. The image’s porous and adhesive condition guarantees that the cinema can never service cultural forces of reification exclusively. The irreducible “physical” characteristics of cinema – its irrepressible affectiveness, the messy viscosity of its image transfer, its promiscuous flirtations with both the uncanniness of stillness and motion – guarantee that the things cinema represents are “not hardened in their identity” (p. 72). In The Filmology Movement, Lowry has written that for Morin, “the cinema, unlike the photo, does not crystallize the image, allowing it to be an object of fetishism” (p. 117). Morin’s elaboration of cinema’s dereifying visuality (what might be called its ectoplasmic materiality) betrays a more dynamic version of history and the historicity of human subjectivity contained in this book, an appreciation for the historical frailties of the subject often overshadowed by his frequent recourse to categories like the primitive, the naïf, or the child. Among his references to the archaic instincts imprinted on the modern subject, his identifications of the primal desires etched permanently on the human mind, or his other indulgences of the more universalising sides of anthropology, sociology, and archaeology, we suddenly come across a passage where Morin boldly asserts historicity. Morin’s more evocative descriptions of film style often assert a tension between the archetypal and the historical, between the universal and the specific, between inherent human need and the subjective fault-lines of history. Morin’s descriptions of colour films invoke this tension elegantly (the grace of Mortimer’s translation comes through here as well). Color is only a luxury of perception but any luxury, taking root, becomes a need. It does not have the powers of black and white, but it develops others. Color goes hand in hand with sobriety and splendor. It is when it is able to be discrete and sumptuous at the same time that it triumphs. At the moment, it is learning how to be as natural as black and white and at the same time to gain an aesthetic effectiveness; it is already capable of sometimes effacing itself behind objects and action, and sometimes effacing objects and actions behind it. Here Morin reads the evolution of film aesthetics as a history of perpetual adaptation; cinema is always adjusting itself to the ebbs and flows of spectatorial expectation and subjective needs. He suggests how colour’s arrival in the film image derives not only from technological innovation but also social experience. Even more striking is Morin’s sensitivity to how audiences from different periods read colour into the image in distinct ways. A history of film style, this approach implies, expresses the juncture between human need and what culture can supply (where human need rubs against the grain of technological and aesthetic innovation.) In other words, variances in the stylisation of color (i.e. the different ways films exploit colour) reveal the historicity of human subjectivity. Technique is not the only site in which to trace the outlines of history. Morin also insists that broader imagistic effects, such as realism, are never purely transhistorical or universal facts of human experience: “[E]very system of fiction is, in itself, a historical and socially determined product. The two apparently intangible arches between which flows the combined stream of film reality and unreality […] are themselves historically determined” (p. 168). In his prose, Morin’s liberal indulgence of other writers’ words (some paragraphs consist of citations strung along in a series with little exposition between them) results in a fascinating composite of phenomenological explorations of cinema not unlike the scrapbook qualities of my early edition of The Stars. There may be value in understanding this bricolage as itself a form of historical document. (Many of the passages cited were previously unavailable except to readers of French.) In the half-century since the publication of The Cinema, or The Imaginary Man, cinema has emerged as a fully fledged area of study, a legitimate academic discipline, complete with specialised scholarly journals, subdivisions of publishing imprints, PhD programs, and named faculty chairs. In this context, Morin’s books on cinema are themselves anthropological artefacts from film theory’s prehistory. These books document the cross-section of texts available to a cinephilic scholar in the France of the 1950s, the primeval quagmire of film study’s pre-institutional past. At the back of The Cinema, the reader will find Morin’s attempt to create a “total” bibliography of writings on cinema (p. 263), a project that he sees as impossible (or inevitably flawed) but one that he pursues vigorously nonetheless. Poised on the threshold of a moment when studying the totality of cinema was still imaginable, this bibliography testifies not only to the wide variety of texts read by the first generation of academic film scholars but also to how a generation imagined the horizons of the medium itself. A few years later, the corpus of cinema would already seem too vast for one person to watch in a lifetime or even to imagine. In the meantime, however, Morin, the unwavering cinephile, invokes this spectre: he imagines the mass of all films ever made and gives it the final word. He concludes his bibliography and The Cinema with a sentence that stands alone at the bottom of the page: “And, preferable to everything, without discrimination: films” (p. 286). 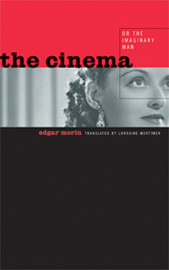 The Cinema, or The Imaginary Man, by Edgar Morin, translated by Lorraine Mortimer, University of Minnesota Press, Minneapolis, 2005. 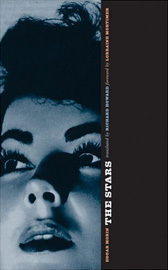 The Stars, by Edgar Morin, translated by Richard Howard, foreword by Lorraine Mortimer, University of Minnesota Press, Minneapolis, 2005. Dudley Andrew, Concepts in Film Theory, Oxford University Press, New York, 1984, pp. 21-25. ____________, “The Neglected Tradition of Phenomenology in Film Theory”, in Bill Nichols (ed. ), Movies and Methods: An Anthology, vol. 2, University of California Press, Berkeley, 1985, pp. 625-632. Mick Eaton (ed. ), Anthropology – Reality – Cinema: The Films of Jean Rouch, British Film Institute, London, 1979. Georges Friedmann and Edgar Morin, “Sociologie du cinéma”, Revue Internationale de filmologie, vol. 3, no. 10, April-June, 1952, pp. 95-112. Fereydoun Hoveyda, “‘Cinéma vérité’, or Fantastic Realism”, trans. David Wilson, in Jim Hillier (ed. ), Cahiers du cinéma 1960-1968: New Wave, New Cinema, Reevaluating Hollywood, Harvard University Press, Cambridge, 1986, pp 248-256. Ivone Margulies, “Chronicle of a summer (1960) as Autocritique (1959): A Transition in the French Left”, Quarterly Review of Film and Video, vol. 21, no. 3, July-September, 2004, pp. 173-185. Edgar Morin, “Pour un nouveau cinéma verité”, France-Observateur, June, 1960. _________, “Recherches sur le public cinématographique”, Revue Internationale de filmologie, vol. 12, no. 4, January-March, 1953, pp. 3-19. Lorraine Mortimer, “We are the Dance: Cinema, Death and the Imaginary in the Thought of Edgar Morin”, Thesis Eleven, vol. 64, no. 1, 2001, pp. 77-95. William Rothman, “Chronicle of a Summer”, in Documentary Film Classics, Cambridge University Press, New York, 1997, pp. 69-108. Steven Ungar, “In the Thick of Things: Rouch and Morin’s Chronique d’un été Reconsidered”, French Cultural Studies, vol. 14, no. 1, February, 2003, pp. 5-22. An English translation of Aumont’s essay “The Face in Close-Up” is printed in Angela Dalle Vacche (ed. ), The Visual Turn: Classical Film Theory and Art History, Rutgers University Press, Piscataway NJ, pp. 127-148. For an account of the film studies critique of anthropology, see the writings of Fatimah Tobing Rony, Bill Nichols, and Trinh T. Minh-ha. “Charlie Chaplin”, What is Cinema?, vol. 1, trans. Hugh Gray, University of California Press, Berkeley, 1967, pp. 144-153; “Death Every Afternoon”, trans. Marc A. Cohen, in Ivone Margulies (ed. ), Rites of Realism: Essays on Corporeal Cinema, Duke University Press, Durham, 2003, pp. 27-41. Unaware of Morin’s metaphoric use of this phenomenon, I pursued the possibility of ectoplasms as an analogy for photographic representation in “Ectoplasms, Evanescence, and Photography,” Art Journal, vol. 62, no. 2, Fall, 2003, pp. 30-41. Karl Schoonover is completing a book on postwar film realism and violence. He has also written on performance, spirit photography, and video art. He received his PhD in Modern Culture and Media from Brown University in 2004. In September, he will join the film studies faculty at Michigan State University.